Drivers on Brookside Boulevard will notice the west side of the Volker campus growing every day as the Brookside 51 project inches closer to completion. 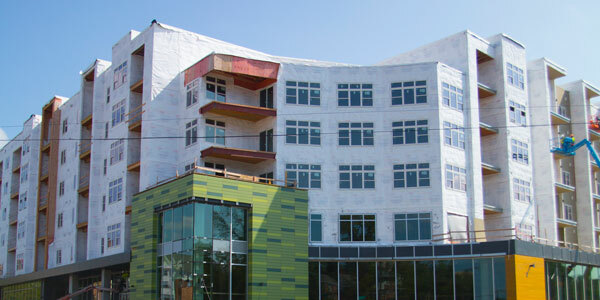 The project at 51st and Oak Streets will feature luxury apartments, a Whole Foods Market and a new home for UMKC Student Health Services. It is set to open in stages over the next 18 months. Apartments will be open to residents later this fall. A satellite leasing office will open at 51st and Main Street for those interested in renting apartment space. So far, nearly 170 people have expressed interest in moving in. Robert Simmons, associate vice chancellor for administration at UMKC, says Student Health Services is expected to move into its space by January 2018. Whole Foods Market is scheduled to open its doors in spring 2018.